The tabs I used were Post-It Durable Filing Tabs that I’ve had in my stationary stash and they worked perfectly. I put the papers that I reach for most often in the front and the filing folders in the back hold more important documents being that the folders can hold more. I kept my tabs the same for the most part. The only other section I have that’s not visual is ‘Other.’ I used the same Post-It Durable Filing Tabs that I used for my filing system. 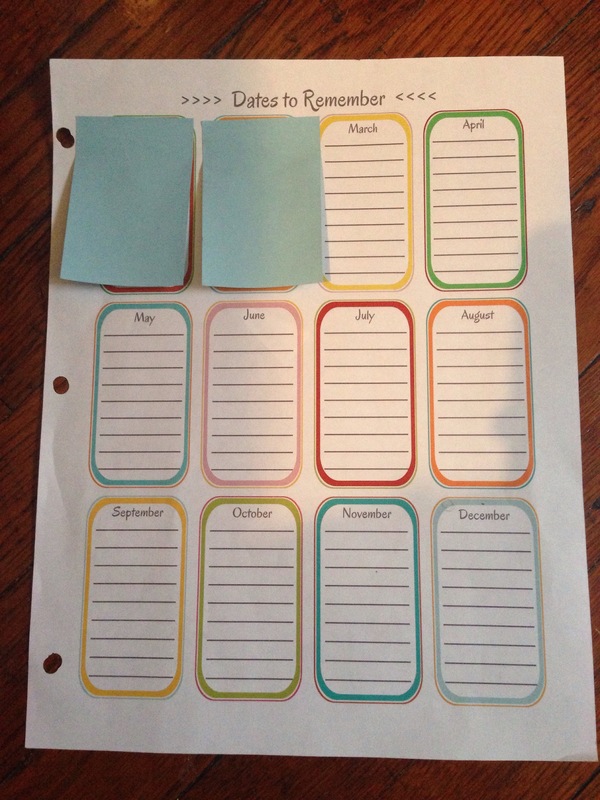 The first sheet I have is a Dates to Remember sheet that I found on DIY Home Sweet Home. I use this to just point out my monthly bill due dates for the most part. Not sure if I’ll be keeping this sheet. My favorite addition to my Home Management Binder is this paycheck to paycheck sheet I came across on Bonfires and Wine. To print just drag the picture to your desktop. Here’s the original versus my changes. I changed the ‘Expected’ tab to ‘Date Paid’ and ‘Difference’ to ‘Balance.’ Being that I get paid bi-weekly I changed the last paycheck slot to Miscellaneous (Misc.) and put my babysitting money in that section being that it’s a part of my income. I also removed the ‘Saving’ line, but I left the ‘Leftover’ spot so that I could monitor if I have any left over from my checks. 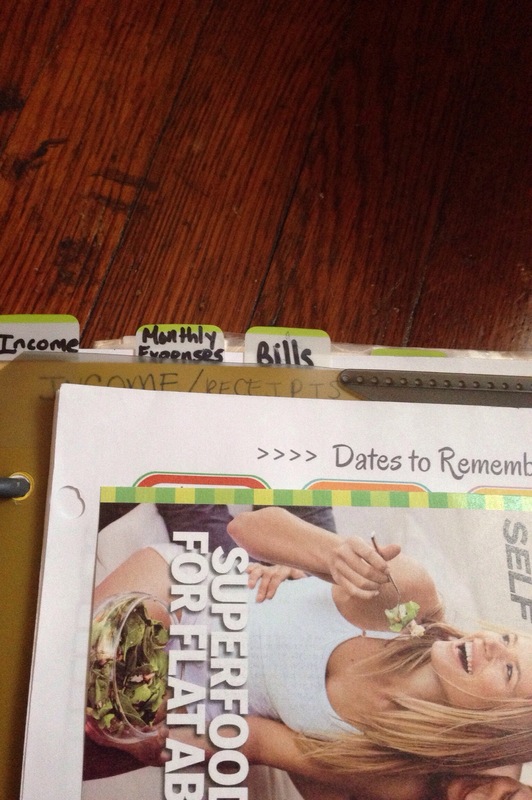 My filing system is complete, but I my home management binder is a work in progress. Expect updates in the near future. As of right now it works and it’s functional. I purchased my planner from Target and it’s from the brand Blue Sky. I use my planner along with my home management binder. I know in this digital age people just use their phones to keep track of everything, but there’s nothing like a planner in my opinion. I use my planner to keep track of birthdays, meetings/appointments/events, pay days, billing due dates, etc. I personally do not prefer a planner of any other size than a 5″ x 8.5″. It’s the perfect size and I can take it everywhere with me. Do you have a system? If so please share. Again mine is a work in progress so please stay tuned for updates. very organized! i set up my planner similar to yours, i feel like life is better when you are organized! I tend to stray away from my planner at times, but I prefer to write things down than to store everything on my phone.